Hi friends :) I have a glitter sandwich to show you today! 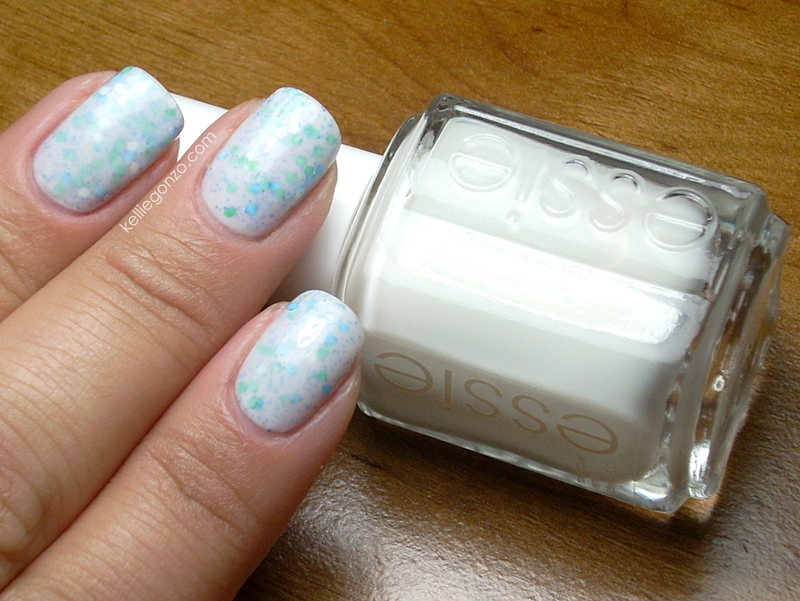 It's two coats of Essie Marshmallow, two coats of Milani Teal, and another two coats of Marshmallow. Teal has a clear base with small blue glitter and large hex emerald green, silver, and blue glitter. Marshmallow is a squishy pale white jelly. I love how this turned out! It was one of those "can't stop staring at my nails" mani's. I picked up both these polishes at CVS. I can't believe I didn't have this Essie before, it's fab! Any other glitter sandwiches I need to do with it?